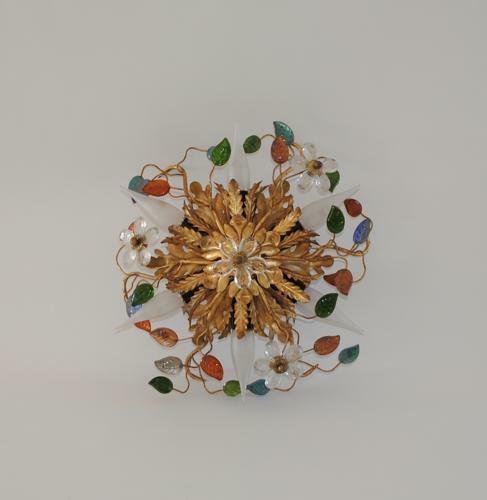 Fabulous ceiling or wall light. Gilt metal frame with glass flowers and multi-coloured leaves. In the style of Maison Bagues, France circa 1970.